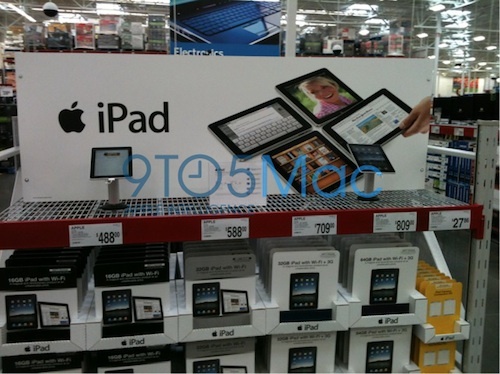 As noted by 9 to 5 Mac, warehouse club chain Sam's Club has begun following through on last month's announcement that it would begin carrying the iPhone and iPad, with several models of the iPad beginning to appear on store shelves. The iPad is being offered at a slight discount, with Wi-Fi models checking in at $12 under Apple's standard pricing and Wi-Fi + 3G models coming in at a $20 discount. Sam's Club has also posted a product page for the iPad showing which of its club locations are currently offering the device for sale. The iPad is not available for order through the Sam's Club website and must be purchased in-store.